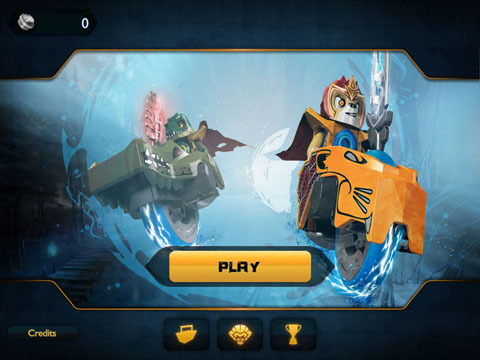 Lego has teamed up with Warner Bros. to bring you a racing adventure through the blocky world of Lego's titled LEGO Legends of Chima: Speedorz! 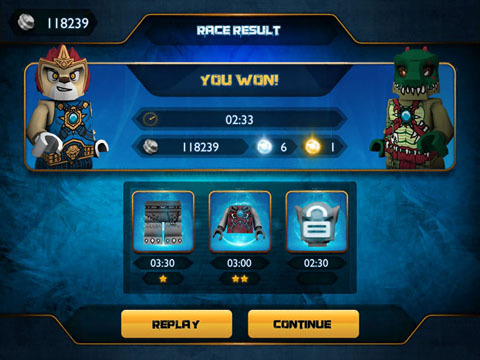 Your a Lego character racing in a Lego world! Objects break apart into Lego bricks when they're run into, pretty cool. 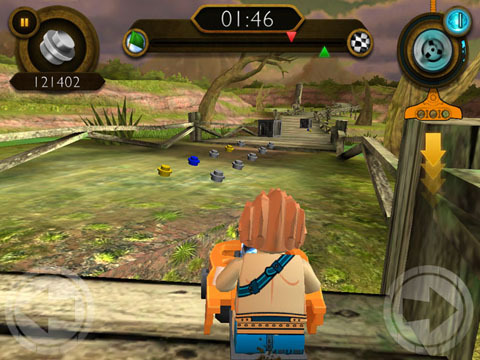 Your objective is to race through the level, collecting coins and avoiding obstacles in your path. To race you'll need to pull the orange rip chord on the top right, down to gain forward momentum. You'll need to do this periodically throughout the race as you will slow down and the chord needs to build up power. Notifications to pull the chord will prompt you. Steering is done by using the left and right arrows on the bottom of your screen, it's a bit sensitive. 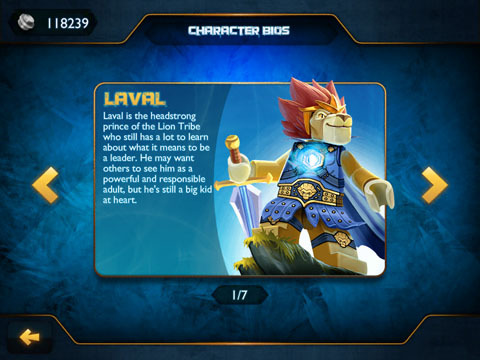 You may find yourself barreling through Lego walls and structures, but don't worry they won't stop you! 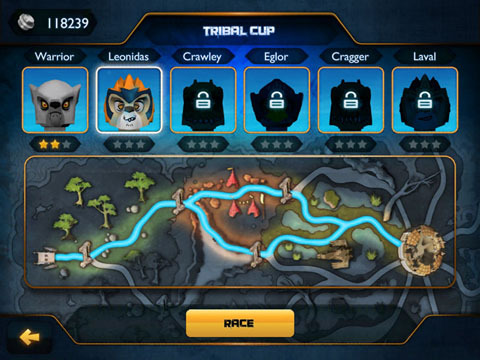 Within each cup you'll face a new opponent each race, beat them to continue on towards your final goal of winning the title! Every race map is different and has a new set of obstacles along the way, be careful. 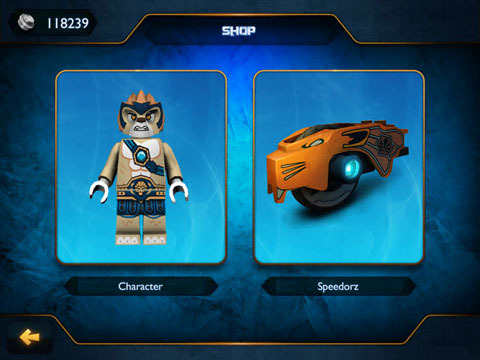 Upon completing races you'll get the chance to shop with the coins you've acquired to purchase new speedorz and characters. Compete against challengers on your quest for the tournament cup! Do you think you have what it takes?